Special to the Daily/David A. CharlesOut to Lunch is currently touring its third album, 'No One Left Behind'. Some refer to their sound as 'jazztronica.' The band plays a no-cover show at three20south tonight. 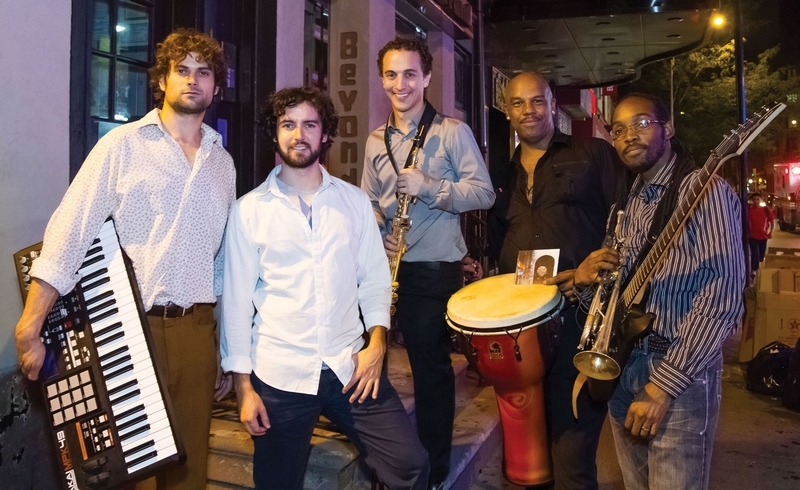 Coming to the three20south stage in Breckenridge tonight is the New York-based band, Out to Lunch, bringing technical albeit funky grooves with “lots of improvisation and an eclectic mix of genres ranging from funk to hip-hop to house,” bandleader David Levy said. The group is currently touring their third album, “No One Left Behind,” featuring heavy electronic influences without drums, unlike their first two albums. The show takes place tonight at three20south; doors open at 9 p.m. and there’s no cover.